Whether you are visiting from around the corner or around the globe, no visit to Fort Lauderdale Beach is complete without a stop for some delicious seafood. With options ranging from bountiful raw bars to sushi and simply prepared fish to those offering a myriad of globally prepared styles, the answer to “where can we get good seafood?”, leaves you with endless possibilities. With October being National Seafood month, and the start of our beloved Stone Crab season, there’s no better time or place to reserve a seat and dive in. We’ve highlighted some of our favorite seafood dishes along Fort Lauderdale’s barrier island, but there are truly so many more. Start your seafood discovery today and we’ll look forward to SEA’ing you by the Seashore! Enjoy fresh, local seafood and an ever-evolving menu at 3030 Ocean Restaurant & Bar, a favorite among locals and visitors alike. Known for their casually chic setting and oceanfront atmosphere, the decade-plus old restaurant within the Marriott Harbor Beach Resort & Spa offers a truly memorable dining experience in Fort Lauderdale Beach. And while you can never go wrong with any dish — or even the Chef’s Choice dinner — if you are a fan of Octopus or like the idea of becoming one, the CHARRED OCTOPUS with Marcona Almond Puree, Farro, Blistered Tomatoes, Arugula, Feta and Romesco, should be high atop your list. When you hear the word “Ritz,” you can’t help but think Fred Astaire and pinkies in the air, but one step inside the posh resorts restaurant, Burlock Coast, and that’s where those memories begin to fade. With its casual beachside vibe, locals and visitors can enjoy a scene that’s more unpretentious party than exclusive club. Their weekday Happy Hour proves the point with specials ranging from a Burger & Brew Night on Monday ($10 from 5-10 pm) to 1/2 Way to the Weekend Wednesday with 1/2 off Wine and Oysters — but it’s the Lost Weekend Friday from 12 p.m. – 5 p.m., where you can enjoy $5 Mixologist Cocktails and $10 Fish Fry, that make us fall in love with Friday’s even more. There is just something about BEER BATTERED FISH AND CHIPS which are also served daily with smashed potatoes and remoulade ($21), that make us feel like a kid again, and that’s what weekends are for. Terra Mare, which debuted at the Conrad Fort Lauderdale Beach in the early fall of 2017, unites dishes from Land (Terra) and Sea (Mare), with its menu of locally sourced meat and seafood plates. So why are we crushing over their SNAPPER SANDWICH? One, the simplest dishes are always the hardest and this hits every mark — a perfectly prepared fish and delicate combination of red cabbage & mango slaw, avocado and chipotle which makes you question if it should be served any other way; Two, for a restaurant which encourages sharing, you can enjoy it all by yourself and no one will question you; Three, while available at Lunch and during Sunday Brunch ( $21), you can enjoy it under it’s pseudonym, “Fish Sandwich” ($14) during Happy Hour from 4-7 pm daily at the Bar. A melding of four words, Tsukuro translates to the phrase “where the moon arrives over the water”. It’s both a playful nod to the oceanfront setting and synergized rhythm of the menu, design and service style, which since opening in early 2014 has been delighting locals and visitors from around the globe. 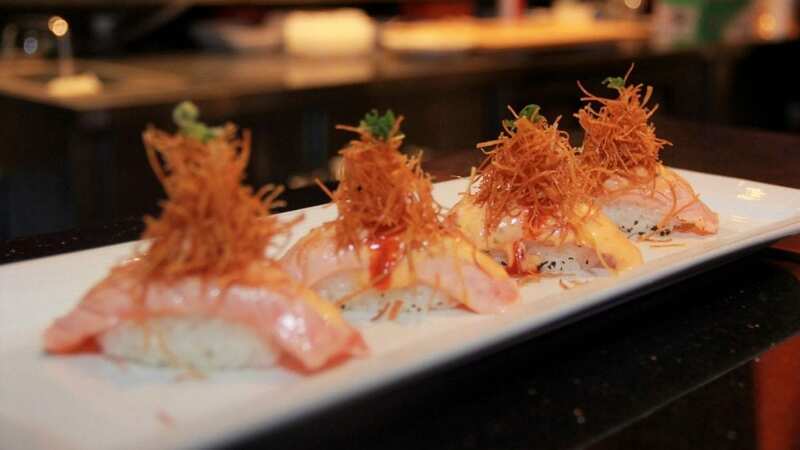 Offering an extensive menu of shareable [large] small plates, an impressive raw bar, meat selection, and newly added gourmet burgers and brunch fare, it is the Sushi and Sashimi selection at Tsukuro that makes us swoon. Take for example the signature, eponymous-nod, OVER THE MOON ($15) — delicately slices of salmon sashimi placed upon a bed of rice and grazed with a torch before being topped with the chef special slightly sweet yet creamy sauce, and crispy Japanese yam. World of advice is to close your eyes before the first bite, so your dining companion won’t see them roll back. If you have never tried Peruvian cuisine, Kousine is a wonderful place to start. Located on the north end of the Fort Lauderdale Beach barrier island, and sandwiched between McSorleys and Ocean Wine & Spirits, lies a culinary gem. Peruvian-Chinese chef Danny Kou opened Kousine Peruvian Kitchen in late 2017, and the restaurant has earned rave reviews since for its flavorful fusion dishes. 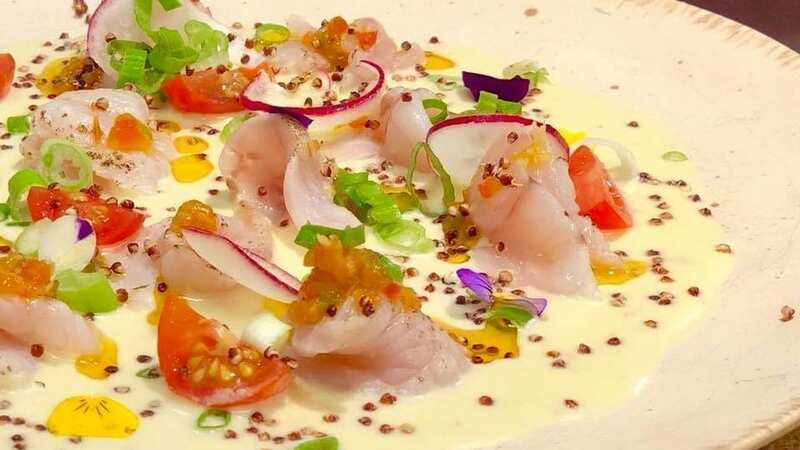 Leading off the menu is a fine assortment of what could be considered Peru’s signature dish, Ceviche, but it’s the namesake TIRADITO KOUSINE ($16) which from first glance appears to pretty to eat, that will steal your taste buds away. Composed of sliced seared white fish, cherry tomatoes, comfit aji peppers, crispy quinoa, scallop leche de tigre. 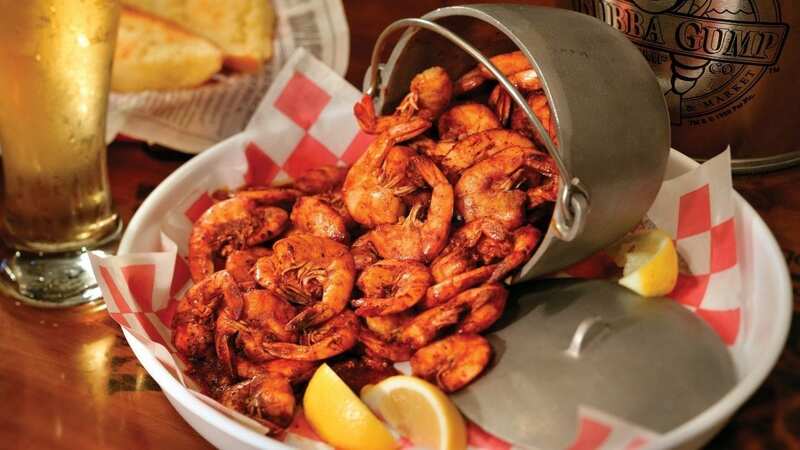 Jumbo Shrimper’s Net Catch at BUBBA GUMP SHRIMP CO.